Indian Gooseberry, also known as Amla or Nelikai or Usirikaya, can be partially attributed to its high vitamin-C content.Amla can protect us against countless ailments, be it the common cold, cancer or infertility.Amla is the best anti-ageing fruit. 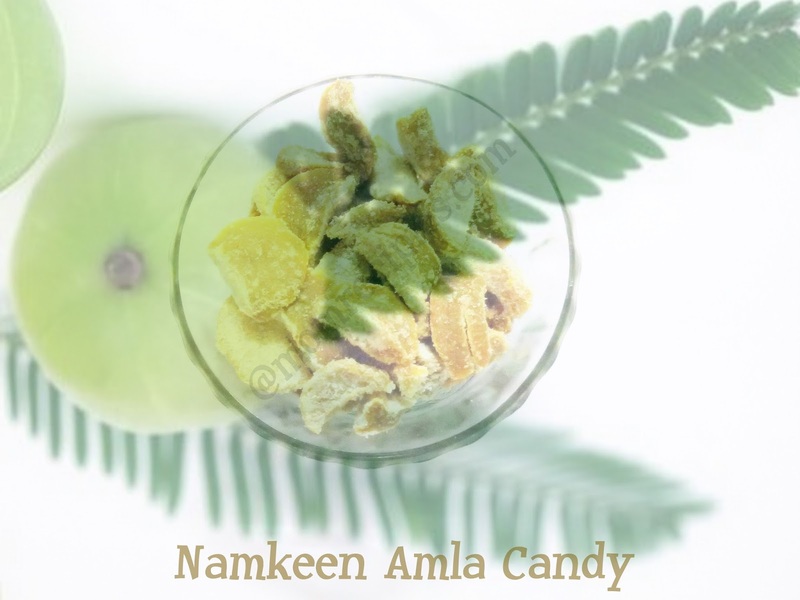 Amla enhances food absorption, balances stomach acid,increases appetite, increases skin health, promotes healthier hair, acts as a body coolant, flushes out toxins, increases vitality, strengthens eyes, improves muscle tone and, acts as an antioxidant.It is supposed to be good for people with diabetes. Amla is a wonderful all-rounder fruit. Its medical benefits, combined with its versatility, make it a great addition to one’s diet.Children who do not like to eat Amla enjoy eating this Namkeen Amla candy happily. •Wash the amlas well. Wipe them thoroughly with a dry cloth. • Toss the slices with salt . • Spread out the amla slices on a large plate and put it out in the sun for a few days, until there is no moisture left in the amlas. • Avoid heaping the slices on top of one another as they will take longer to dry. 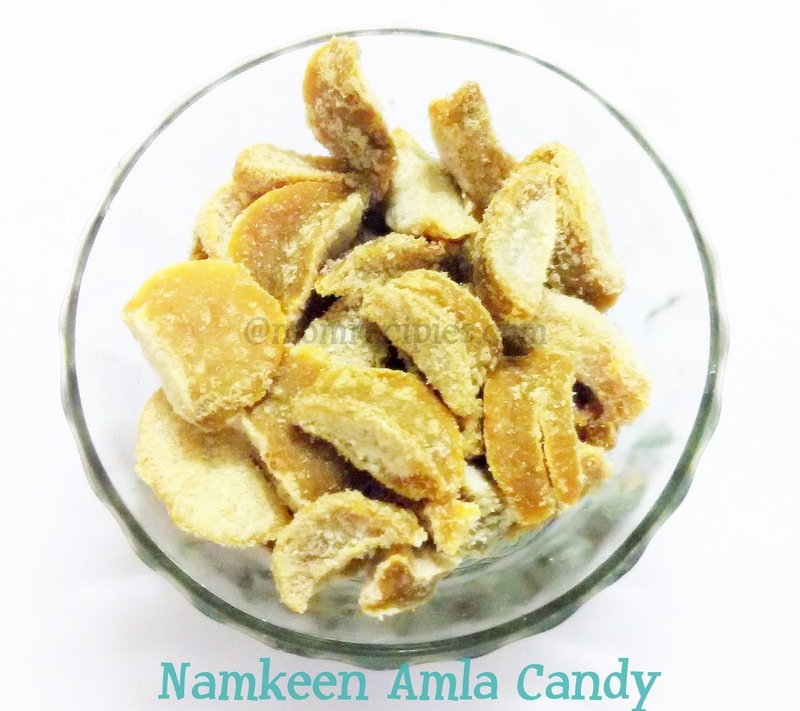 •.Mind it, these Namkeen Amala Candy is really tangy and namkeen in taste but delicious.